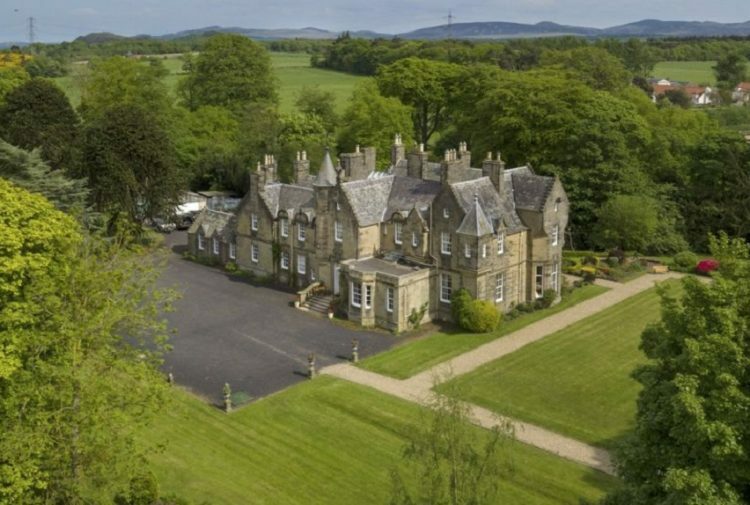 A superbly renovated A-listed Scottish castle was stunning views over a loch is now on the property market. 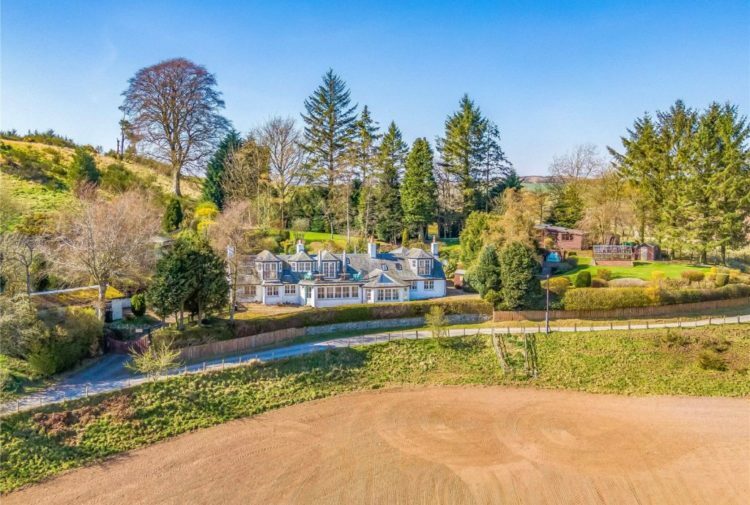 Presented for sale by Savills, rising approximately 40 feet from the fields that surround James Hamilton Heritage Loch stands Mains Castle, a splendid example of a 15th century keep and arguably Lanarkshire’s most romantic residence. 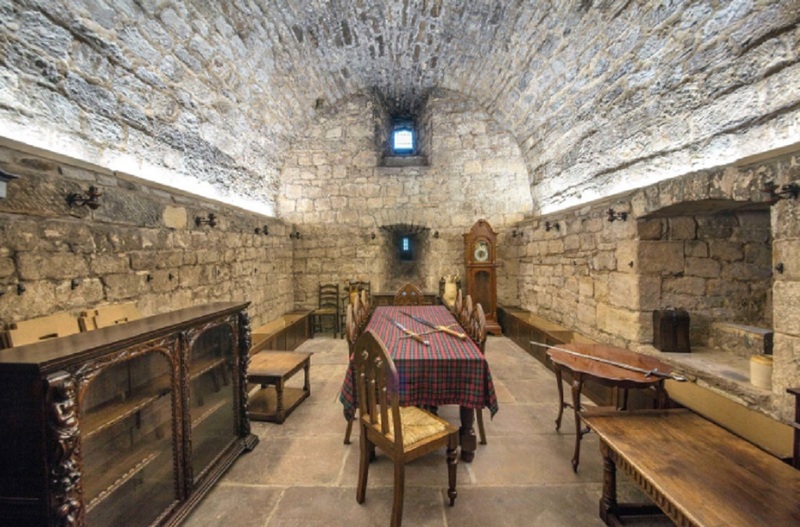 This Category A Listed tower house was winner of a Saltire award for its reconstruction and renovation. 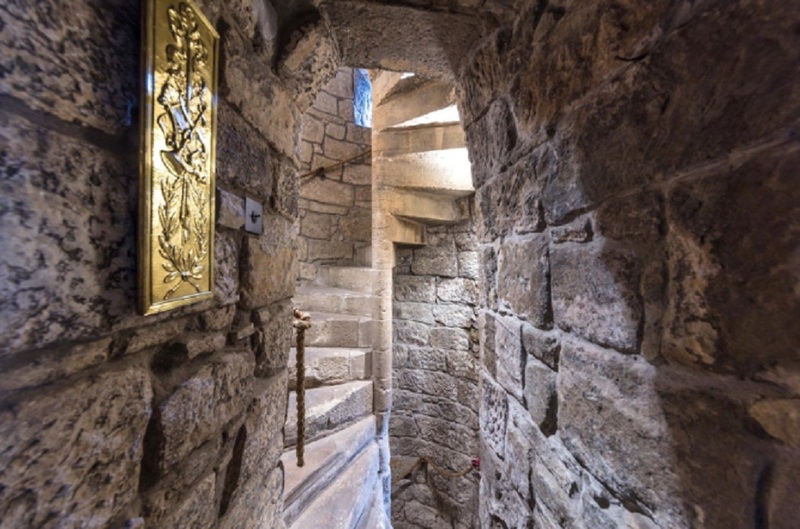 Mains Castle is steeped in Scottish legend with features including flagstone floors, open stone fires and a winding spiral staircase. 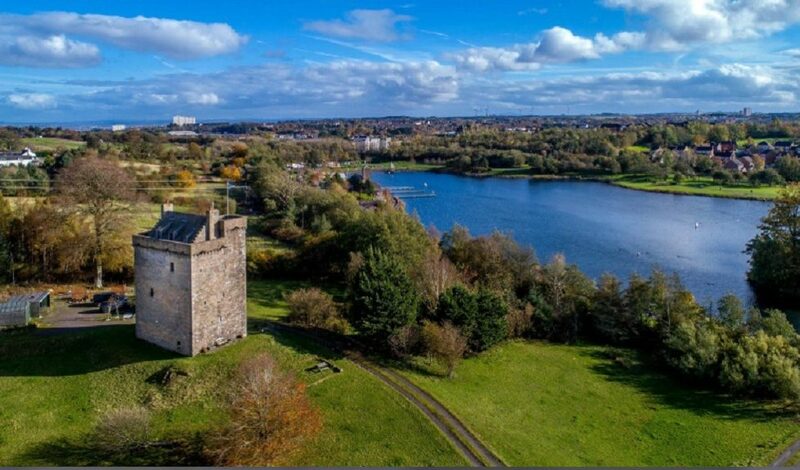 Built on land thought to have been gifted from Robert the Bruce and dating from 1450, Mains Castle was first occupied in 1478 when Princess Euphemia Stewart married David Lindsay who was the provost of Glasgow. 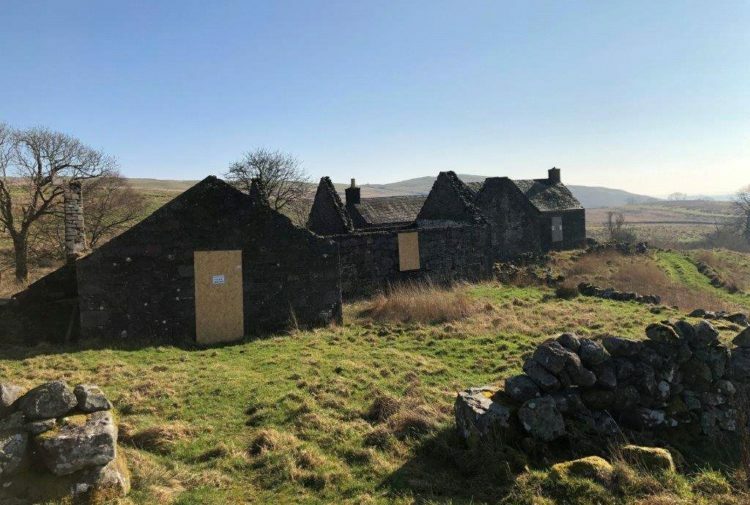 It fell into dilapidation in 1678 after being fired on by Claverhouses Dragoons in a skirmish after the Battle of Bothwell Brig (still evident by cannonball marks on the lower walls) and was restored in 1883 when Victorian owners built on a new roof. 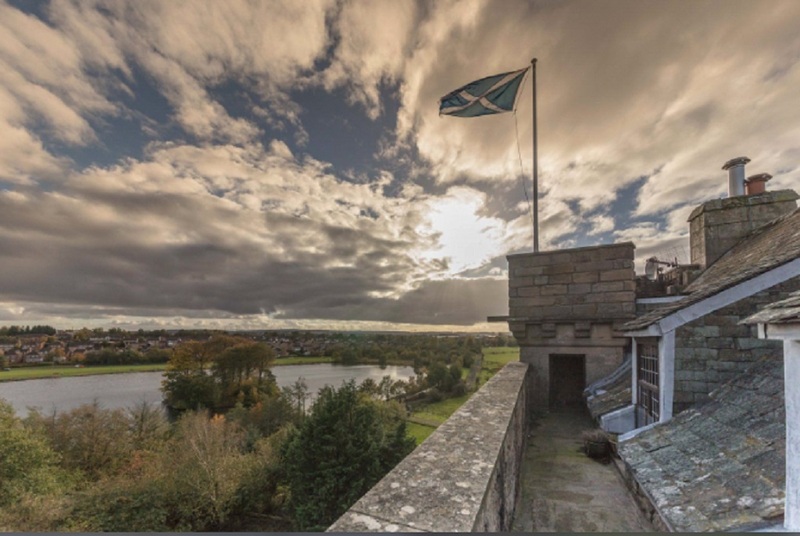 In 1922, after a great storm, the 19th century roof collapsed and the property remained derelict until the painstaking restoration which took place between 1977 and 1985 when Mains Castle was once again inhabited – this time for modern living – after being restored by Mike Rowan. With walls six feet thick on three sides and ten feet thick on the west, the interior is modest in floor space but surprisingly practical. The tower has five floors: The Ground Floor (entresol) and the original first floor were enclosed in the stone barrel-vault, designed to protect the upper floors from fire attack at ground floor level. Rising through the height of the building in the southwest corner is a spiral turnpike stair, cunningly designed to turn in a clockwise direction, giving a right-handed swordsman the advantage over an intruder trying to fight his way up. The first floor comprises a Minstrels’ Gallery, created to overlook the Banqueting Hall and the original guardroom has been converted into a toilet with stone clad cistern and handmade copper sink. Beneath this toilet lay the original pit prison! Above the barrel vault on the second floor is the flagstone floored Great Hall which serves as a kitchen and currently also works as a good sized drawing room. 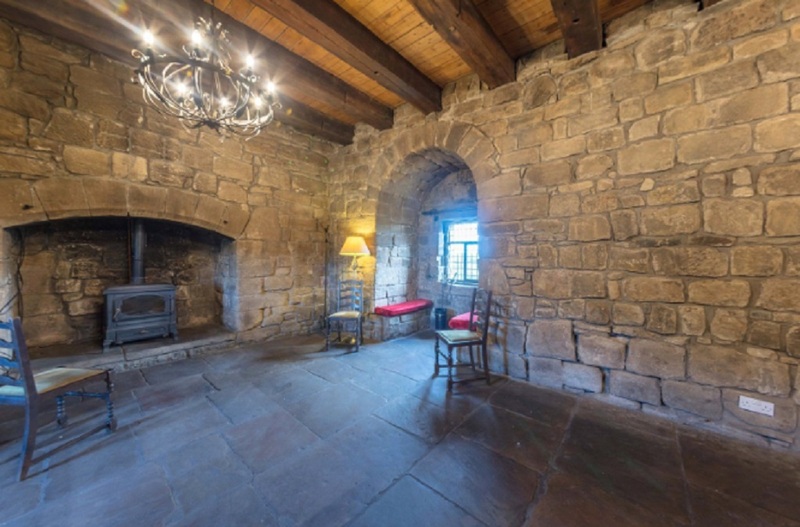 The room has roughly-hewn stone walls and solid oak beams. The third floor houses the original ladies’ quarters with exquisite hand painted ceiling and en suite toilet and shower. The Laird’s room is a further double bedroom with stripped timber floors and en suite shower room off, solid oak beam ceiling and a small recess where the valuable salt would have been kept dry and safe. 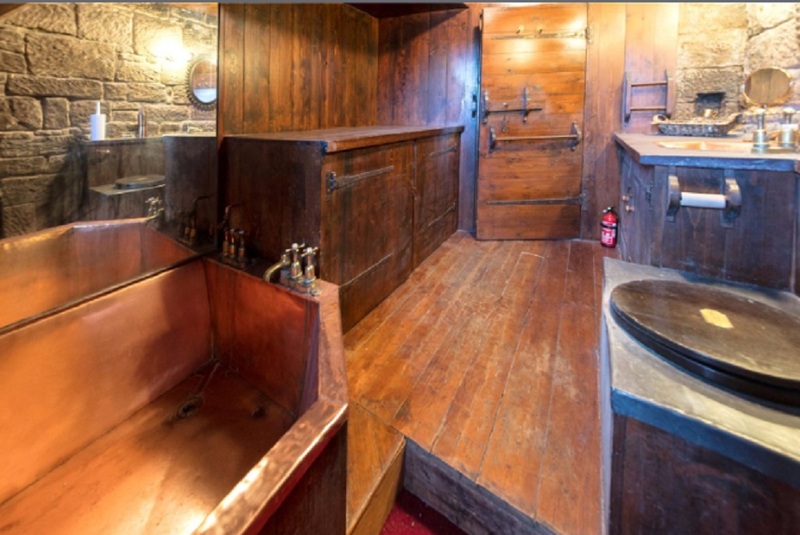 On the fourth floor is a refurbished bathroom featuring a quite unique handmade copper bath. The existing home office could be used as a further bedroom as could the upper floor utility room which was formerly a fourth bedroom. The Parapet allows access around all four sides of the castle, each with splendid views. The grounds surrounding Mains Castle extend to approximately 3.8 acres which border the northern bank of the James Hamilton Heritage Loch. Electric gates provide access to the castle. Mains Castle is one of South Lanarkshire’s most familiar landmarks and the oldest inhabited residence in East Kilbride. The castle overlooks the loch at the James Hamilton Heritage Park although there is no access to the castle from the park. 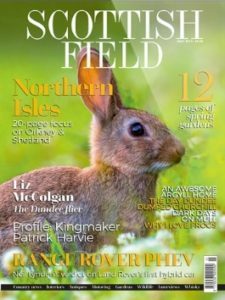 East Kilbride and Stewartfield have easy access to the southern orbital road with good commuting links to Glasgow and Ayrshire and the castle is positioned close to the National Museum of Rural Life. The locale has several popular primary and secondary schools and Glasgow’s private schools are readily available including Hutchesons’ Grammar School, Glasgow Academy, Kelvinside Academy, The High School of Glasgow, St Aloysius, Craigholme and Belmont House. Within the neighbouring town of Hamilton private schooling is also available at Hamilton College. East Kilbride is the largest town in Scotland and is conveniently positioned for access to all of the commercial centres of Scotland’s central belt. The town has a large shopping centre comprising six linked malls which have been developed in several phases and holds the title of the second largest shopping centre in Scotland. East Kilbride is also connected to Glasgow city centre by rail and bus links. Recreational pursuits are catered for by the Dollan Aqua Centre, ice rinks, sports centre, a multi screen cinema, theatre, leisure centre and two golf courses.